Dominic’s entire career focus has been as an advocate for the health care profession, and he has personally tried over 100 medical malpractice cases to verdict, always taking on the most serious and complicated of cases. Dominic is certified by the Supreme Court of New Jersey as a Civil Trial Attorney and has been appointed by the Supreme Court to its Model Civil Jury Charges Committee. Dominic was selected for inclusion in New Jersey Super Lawyers for malpractice defense. He is also a member of the Litigation Counsel of America. Dominic graduated from Denison University in 1981 and from Delaware Law School in 1984. 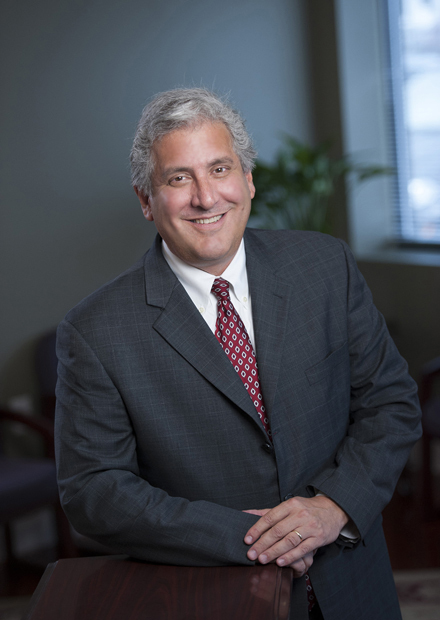 He began his career in a Philadelphia firm specializing in the defense of medical negligence cases. In 1997, he co-founded Stahl & DeLaurentis with Stanley Stahl. He shares his knowledge in seminars and lectures for physicians groups, insurance companies and ICLE.